We specialise in large format printing on different types of print mediums. We only use the latest digital print technology from Roland. Our VS 540i Versa Camm digital print & cut is designed to produce stunning print colour quality. 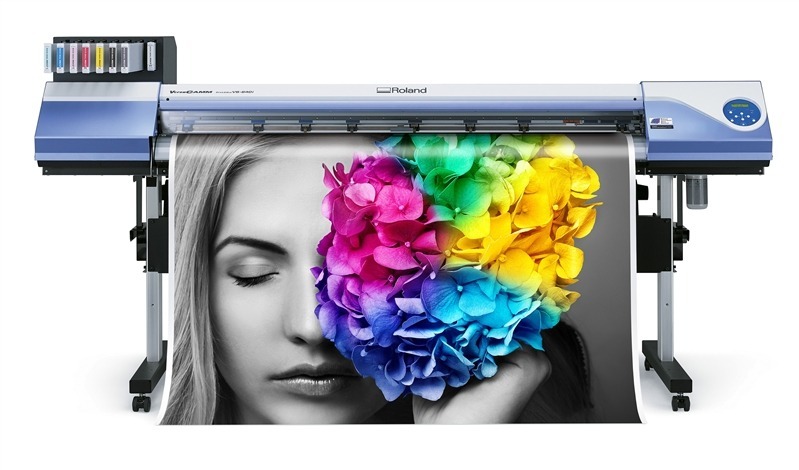 The Roland printer is able to print on banner, contravision, wallpaper,canvas, vinyl & poster material. We are able to print big runs at quick turnaround times ensuring 100% satisfaction for our customers. Contact us for a personalized Large Format printing quote! Clients often ask what can our large format printer print on & what can the printed material be used for. Below are the examples of the different types of material that we can print on & also what it can be used for. Banner prints can be used for point of sale on counters or side of buildings to name a few. It is an inexpensive material to print on and can be easily installed on site. Has a lifespan of 12 months before the print starts to fade. Contravision prints can be used for advertising on shopfront windows or office windows to name a few. It can help block vision from onlookers looking into the shop, however from inside looking out visibility will be clear. Has a lifespan of 3 years before the print starts to fade. 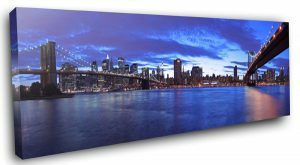 Wallpaper prints can be used for home, office, restaurant & retail store wall decor. Canvas prints can be used for home or office decor. Vinyl prints can be used to apply onto windows, chromadek, products ect. This is a material that be applied to a multiple number of surfaces. Has a lifespan of between 3 to 5 years before the print starts to fade. If you looking for top quality Large Format Printing at the best possible prices don’t hesitate to contact us for a quote on supplying Large Format Prints in Johannesburg, Cape Town, Pretoria or anywhere else in South Africa. Large Format Vinyl Prints to Joburg based customers in Fourways, Roodepoort, Sandton, Bedfordview and surrounding areas.